Stop and smell the large ponderosa pines when the sun is shining on them, butterscotch or vanilla is what will fill your nose. These large trees with yellow-orange-reddish and black bark are at least 125 to 150 years old to be this color. They are sometimes referred to as “yellowbellies”. The younger pines are called “blackjacks” because the bark is all black. A ponderosa pine does not produce pine cones until at least 45 to 60 years of life, the largest documented height is 235 feet tall, and the largest circumference is known to be 324 inches. These trees are usually in pure stand forests, meaning they are the only trees in the area, although some have mixed with other coniferous trees as well. 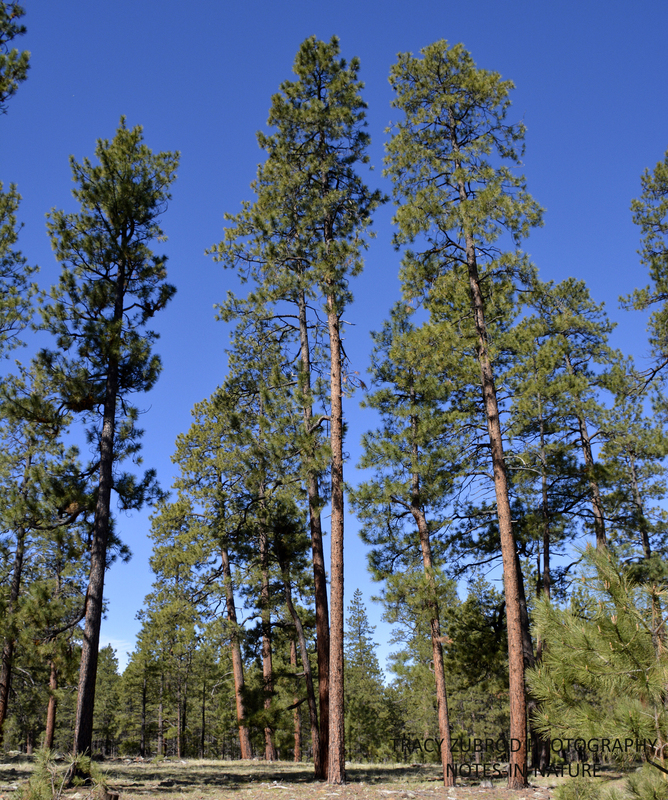 These trees from Flagstaff along the Mogollon Rim to the White Mountain region in Arizona is considered the largest stretch of ponderosa pine forest on the continent. 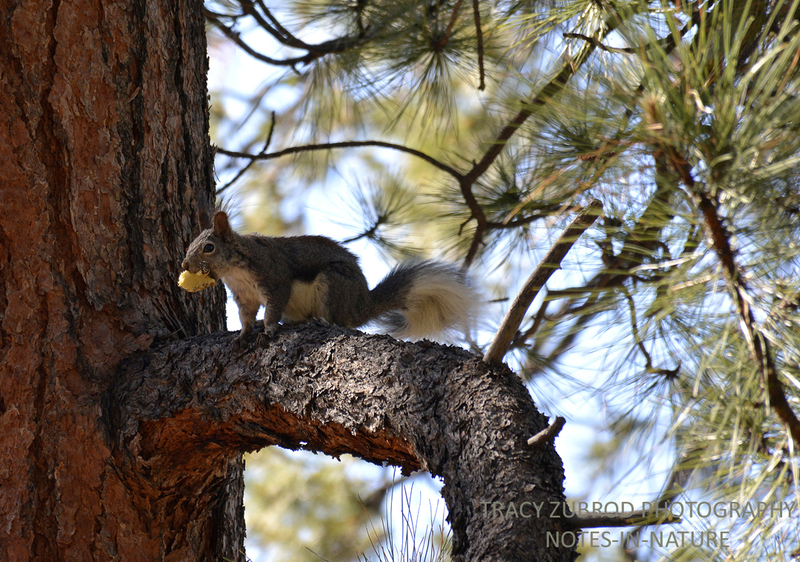 Abert squirrels live in coniferous forests, including yellow or ponderosa pines, sometimes pinon or juniper forests as well. They have tassels or tufts extending beyond their ear tips, although they reduce or are even lacking in the summer. Seeds and the inner bark of the ponderosa pine, as well as terminal buds, staminate flowers, and pinon nuts are its chief foods, but they will also eat mistletoe and other vegetable items. They use nests all year, as a refuge by day and for sleeping at night. There range is in isolated mountainous areas within the four corner states. I have heard that the butterscotch/vanilla smell presents when the tree is about 50 years old, do you know if that is true? great article TZ! From what I have read, the change to the yellow-orange-reddish color of the Poderosa is also when the smell starts to happen. So, the trees are probably at least 110-120 years old for the smell to start.